Limited VIP Packages& “Early-bird” prices for General Admission available! 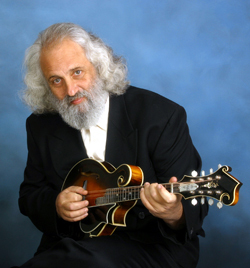 Bluegrass legend David Grisman takes the stage with “The David Grisman Sextet” for the inaugural concert of the new concert series “Snowbowl Mountain Music” at Missoula’s local ski hill Montana Snowbowl, Sunday Sept. 14th 5PM. Local favorites “The Lil’ Smokies” will open. Tickets go on sale Thursday May 15th. Tickets will be available online at snowbowlmountainmusic.com. A limited number of “VIP” packages ($65) will be available to purchase which include premium seating & parking and a special commemorative concert package. A limited number of “Early Bird” tickets ($35/$32 Adult/Student & Senior 65 ) will also be available until sold-out for General Admission. General Admission tickets will be available at Rockin’ Rudy’s and a dedicated box office location at a later date TBA. 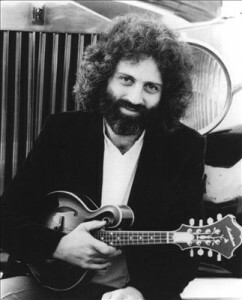 An acoustic pioneer and innovator, mandolinist/composer bandleader/producer David Grisman has forged a unique personal artistic path for nearly half a century, skillfully combining elements of the great American music/art forms — jazz and bluegrass with many international flavors and sensibilities to create his own distinctive idiom — “Dawg” music (the nickname given him by Jerry Garcia.) In doing so, he’s inspired new generations of acoustic string musicians, while creating his own niche in contemporary music. His career is littered with recording and performance collaborations with the biggest contemporary artists of our day including Sam bush, Jerry Garcia, Del McCoury, the Grateful Dead, Emmylou Harris, Bonnie Raitt, Dolly Parton, Earl Scruggs, and James Taylor. In the 30 years since forming the seminal group the David Grisman Quintet, David’s ensembles have won numerous polls and awards, headlining major jazz, folk and bluegrass festivals around the world. Come enjoy an evening with David Grisman under an open sky at the base of Montana Snowbowl, offering an epic experience in-synch with the natural beauty offered at Missoula’s local ski hill. This entry was posted in Events by peej. Bookmark the permalink.